Your smile leaves a first impression, and you want to feel as confident with your pearly whites as possible. Cosmetic dentistry is a great option for anyone looking to whiten and perfect their teeth. One popular cosmetic procedure is dental bonding. This treatment is quick and painless, allowing you to look and feel your best. Here are a few things to know about the procedure. When performing a dental bonding procedure, a dentist will apply composite resin to the surface of a patient’s teeth. This can mask the appearance of stains, chips, and other imperfections. Bonding is often used as a less expensive alternative to veneers, as the resin can be shaped to the tooth in just one office visit. How Does This Treatment Improve Your Smile? This type of cosmetic dentistry can be effective at repairing decay, smoothing cracked teeth, and reshaping the teeth. Dental bonding can also improve tooth color, removing the appearance of stains. Some patients may undergo this treatment to fill spaces between the teeth and protect the gums. If you’re interested in cosmetic procedures, your dentist will recommend the best option for you. At the beginning of the procedure, the dentist will match resin samples to your teeth to select the right color. Then, they’ll apply the resin, which they can mold like a putty. 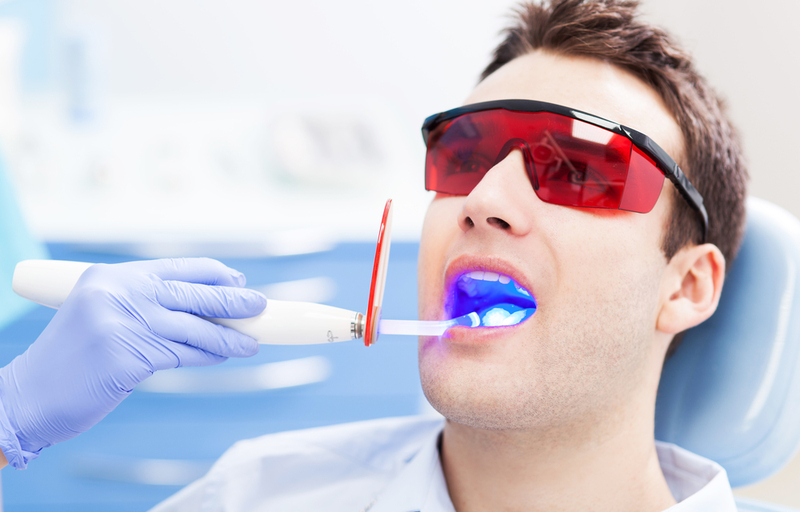 The dentist will shape the resin while it’s wet before drying it with a laser or UV light. Once the resin is hard, they can polish and shape the material to look like natural teeth. Your dentist will give you aftercare instructions, and you should be able to resume your normal activities soon after the treatment. How Can You Ensure Lasting Results? While bonding treatments generally last several years, you have a role in preventing breakage. Since the resin is more brittle than your natural teeth, avoid chewing on hard candy and ice. Also, avoid using your teeth to open packaging. To keep your teeth white, avoid staining foods and beverages in the first 48 hours after your procedure and limit them after that. By taking these steps, you can enjoy beautiful cosmetic dentistry results for years to come. Are you interested in dental bonding? Randall A. Ellis, DDS provides exemplary general and cosmetic dentistry to patients in Texarkana, AR. Dr. Ellis and his staff are committed to forming relationships with their patients, individualizing your care for life. Whether you’re due for a cleaning or want to perfect your smile through dental implants, this team offers the services you can trust. To view a full list of services, visit them online, or call (870) 772-1374 to make an appointment today.